This route is part of our story – Best Road Trips from Bangalore. Click image below to check other routes. Stashed on the coast, Mangalore is an important port city responsible for business and commerce in the state. Best known for its Malnad charm with quaint houses in coconut plantations, temples and churches in a beautiful countryside atmosphere, there are a couple of beaches to wind up. The route hits off with exquisite examples of stone carving and temple architecture, moving to plantations, forests, peaks and gradually blending into salty air. Driving distance through Hassan and Sakleshpur NH48 at 356* kms is the shortest and most preferred for the beauty. Routes leading to Mangalore have scenic drenched vistas for good part of the year and major spiritual destinations short drives off the highway. Being the nearest beach from Bangalore, most tourists make a soujourn here after a scheduled religious exercise and head out later. The road is quite straight up to Sakleshpur, after which Shiradi ghats and a few forests take over. One must head on NH4 for about 30 kms and at the Nelamangala junction turn left onto NH48. The landscape begins to change after crossing Kunigal. Much before Channarayapatna, a Y intersection suggests Shravanbelagola. Most famous for the colossal Gommateshwara statue in a temple complex (06:00 – 18:30 hrs), this is an important pilgrimage centre in Jainism. 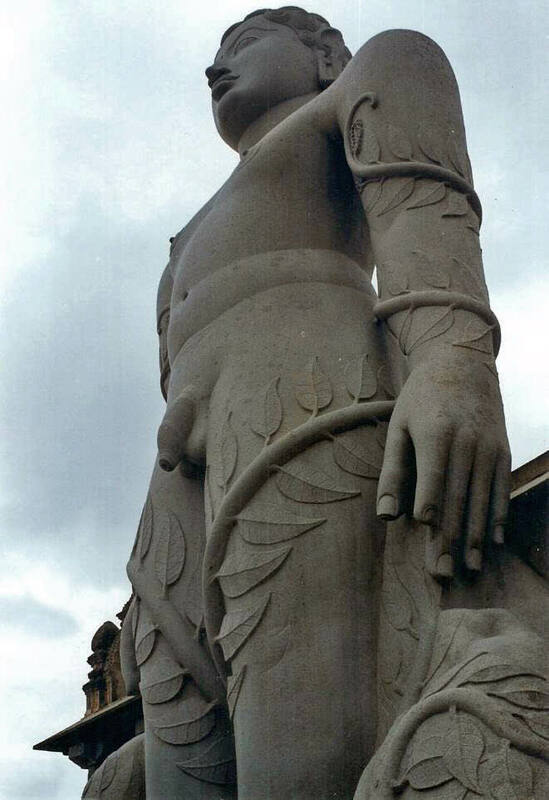 Standing 57 feet tall, it is considered the world’s largest monolithic stone statue. Every twelve years, a congregation of devotees descend to perform Mahamastakabisheka, a bathing and anointing ritual involving libations of milk, ghee, sugarcane juice, saffron paste; sprinkling powders of sandalwood, turmeric and vermillion; and offerings of petals, gold, silver and precious gems. This festival is held in adoration of Bahubali. Next up, north of Hassan is a spiritual architecture corridor between Belur and Halebeedu. Earlier, being a capital region of the Hoysala empire, one will find fine examples of stone carving craftsmanship. 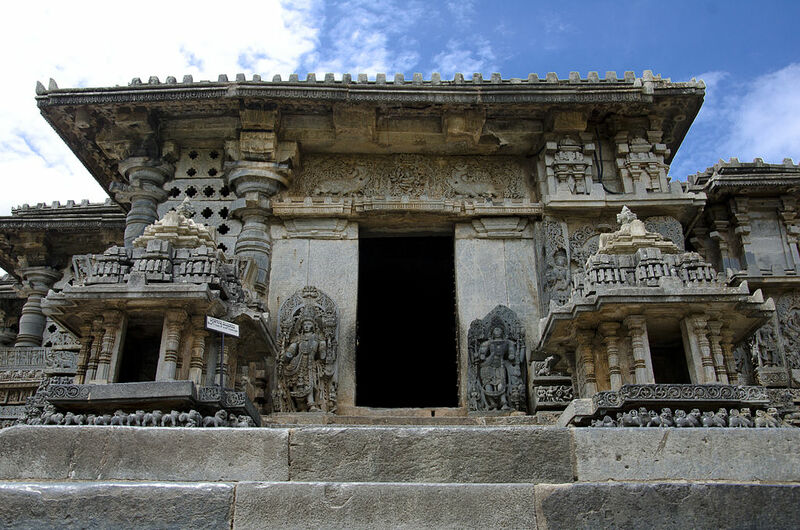 Belur is famous for the marvellous Chennkesava temple and Kappe Chennigraya temple complexes (07:30 – 20:00 hrs) and Halebeedu for two temples – Hoysaleshwara and Kedareshwara and two Jain basadis (07:00 – 19:30 hrs). They are soapstone edifices with intricate carvings of animals, birds, dancers, gods and goddesses. The main attractions are ornate pillars inside temples, some in black stone, each in unique style and content. 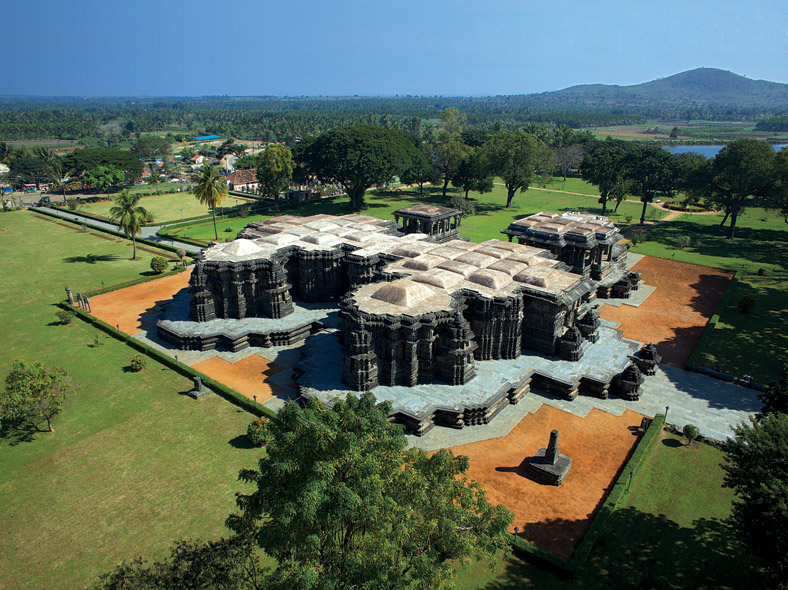 Shravanabelagola, Belur and Halebeedu have been proposed as UNESCO heritage sites. 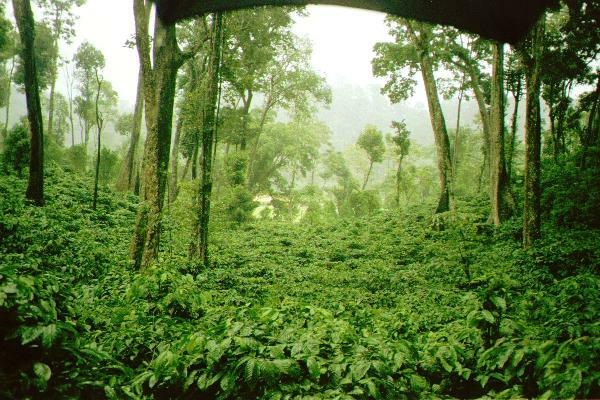 Chikmagalur, the birthplace of coffee in India is a wonderland for this beverage in Karnataka. Small hill stations frequent the landscape around this city. An obvious stop for coffee and snacks here, the deep valleys covered in plantations should keep one entertained. One might break for the night before heading west. 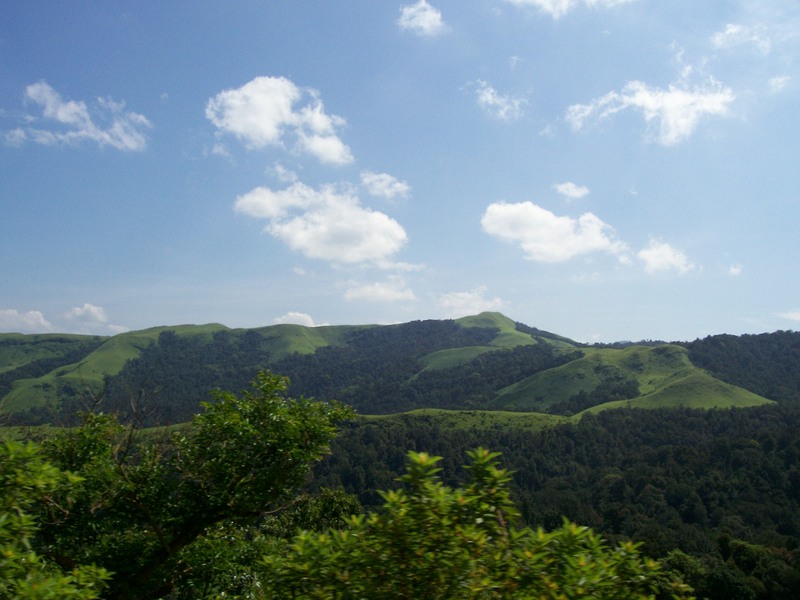 Kudremukh is a mountain range and a peak in the district of Chikmagalur. Literal translation means ‘Face of a Horse’ which is what the peak resembles from a certain angle. 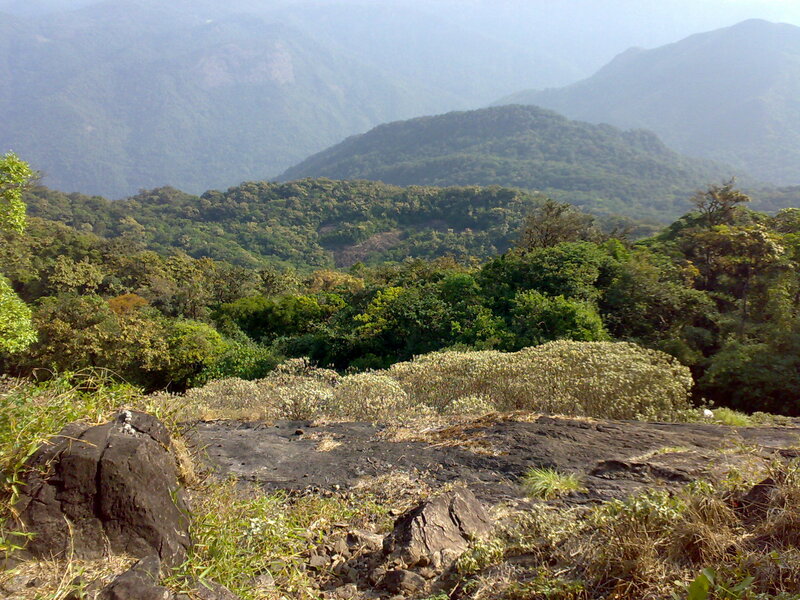 Kudremukh National Park is the second largest protected area declared in the western ghats. Mining was rampant for decades before it was declared an eco-spot. Tourism is offbeat, with about five trekking trails to the Kudremukh peak from different directions covering a few days each. Access to Hanmangundi waterfalls requires a small trek down thick forest slopes; but the location is pristine. Back on the highway,Sakleshpur offers serene vistas with plantations alternating appearances of the neighbouring Bisle Reserve Forest and Pushpagiri Wildlife Sanctuary. 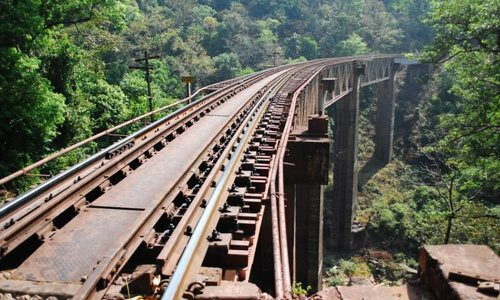 Treks on the sanctuary’s highest peak, Kumara Parvata and along the Green Route railway line from Sakleshpur to Subramanya are quite popular around here. Said to have built by Tipu Sultan, the Manjarabad fort located above one of the hairpin bends is a quick visit. 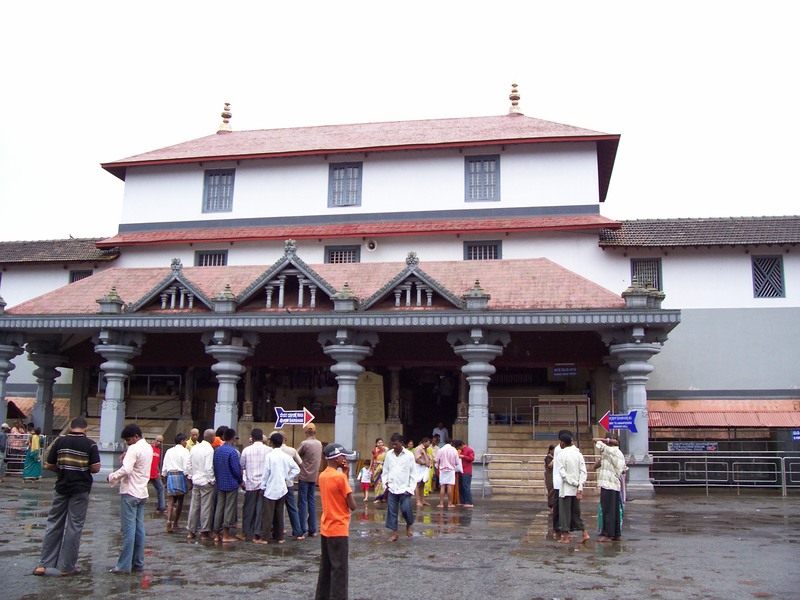 Dharmasthala is a secular temple village with the main Dharmasthala temple and several shrines of both Hinduism and Jainism. With over ten thousand visitors on average every day, it is an important spiritual destination. For those in need of justice, Heggade, a local lineage dispenses judgements driven by the deities. Two museums are present here – Manjusha (till 21:00 hrs) with a collection of heritage objects and Car museum (08:30 – 19:00) with a collection of unique cars. Located between Anegundi forest and Charmadi ghats, the weather is pleasing all year. Being a closest port to the state’s capital, cargo traffic is huge which damages the road quite often. Be ready for diversions, which are in fact visually enticing. 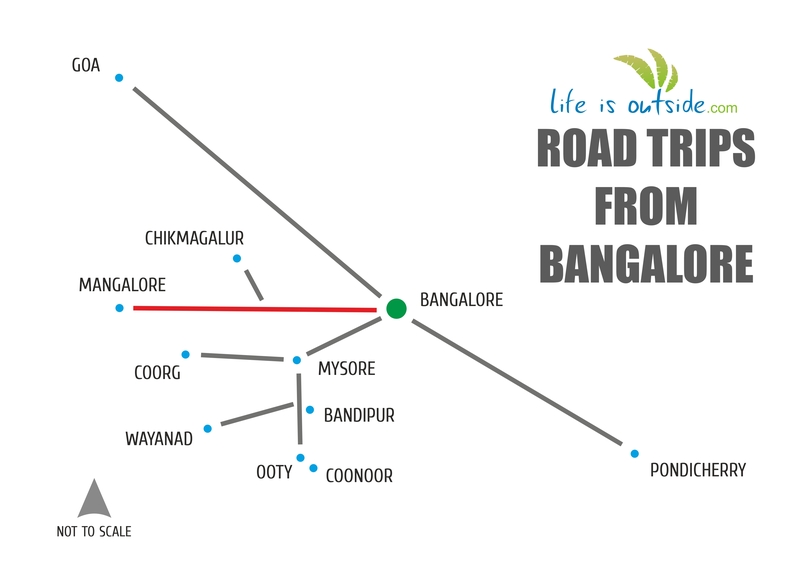 LifeIsOutside has a collection of hotels, resorts, homestays and camps amidst plantations and a beach on this route. Get Out. Life is indeed outside! International holiday coming up? These simple language hacks will transform your travel experience!